RF-systemet er et smart trådløst styringssystem med LED-kontroller. Det er både eksterne og veggmonterte sendere. Skaper den rette stemningen. Systemet er et fleksibelt trådløst styringssystem som gjør det mulig å styre flere soner ved hjelp av en fjernkontroll med mottakere i hver sone. WiFi styres via APP på IOS eller Android-systemet. The LED controller SR-2819S is a remote RGBW controller with ultra sensitive glass touch color wheel to adjust color tone fast and accurately. Each controller can control up to 4 zones separately or synchronously with endless receivers in each zone. There are 10 built-in changing patterns with pause function when played. Scene saving function is available when you do not like the built-in ones, and 3 scenes can be saved for each zone. The LED RGBW controller can achieve millions of colors due to the independent brightness adjustment of each R, G, B, W channel. While receivers are working with WiFi-RF converter, they can be controlled by WiFi via installing APP on IOS and Android systems. 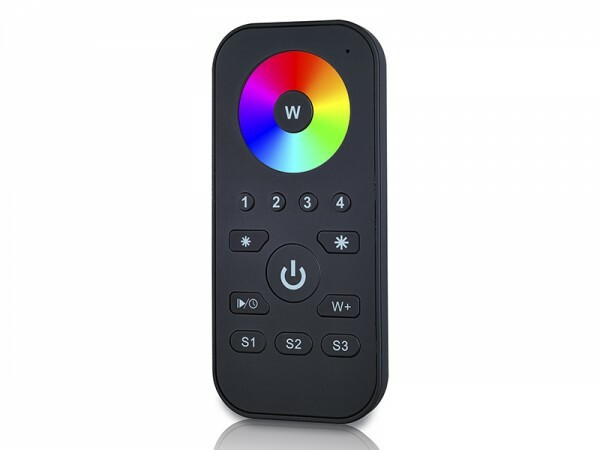 RF&WiFi remote control dimmer SR-2833K5 is a single color LED controller which offers both switch on/off and smooth brightness dimming functions. Designed with easy-to-use interface, the dimmer controller can adjust brightness fast, accurate and smoothly without any flickering. Each controller can control 5 different zones separately with endless receivers in each zone. Smooth dimming range from 0.1%-100% without any flickering really does good to human eyes. Humanized memory function enables the remote dimmer remember the last brightness after turn off or cut off. While receivers are working with WiFi-RF converter, they can be controlled by WiFi via installing APP on IOS and Android systems. 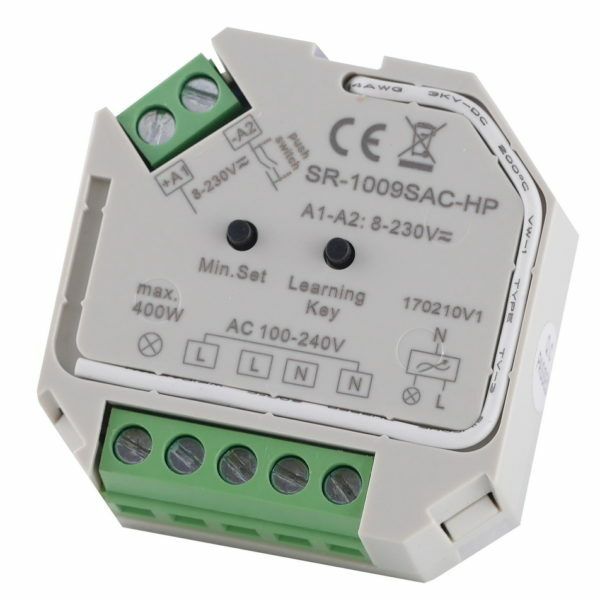 The SR-1009SAC-HP is an innovative AC phase-cut dimmer with RF control and push dim function. The AC dimmer is designed with 100-240VAC wide input and output, 1 channel and maximum 400W output. The RF dimmer is both triac dimmable and mosfet dimmable. The innovative minimum brightness setting function enables users to set a minimum brightness and dim from this minimum brightness to 100% brightness. Also it is easy to delete the minimum brightness. The RF triac dimmer can be compatible with a variety of Perfect RF series remote controls. While working with a WiFi-RF conveter, the phase-cut dimmer can be WiFi controlled via APP installed on IOS or Android system. Push dim function is available while the dimmer is connected with a push switch. It is compatible with universal 8v-230v AC and DC input push switches. The SR-2818WiN is a compact WiFi-RF converter designed to convert WiFi signal to RF signal and be compatible with SR-1009 series receivers, which enables the RF controllers to be WiFi controlled by APP installed on IOS and Android mobile devices. 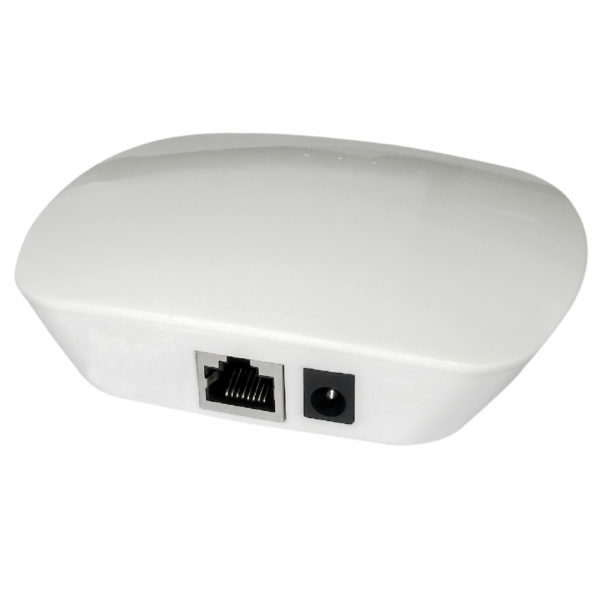 It receives WiFi signal from the mobile devices and converts it to RF signal and send to the receiver. 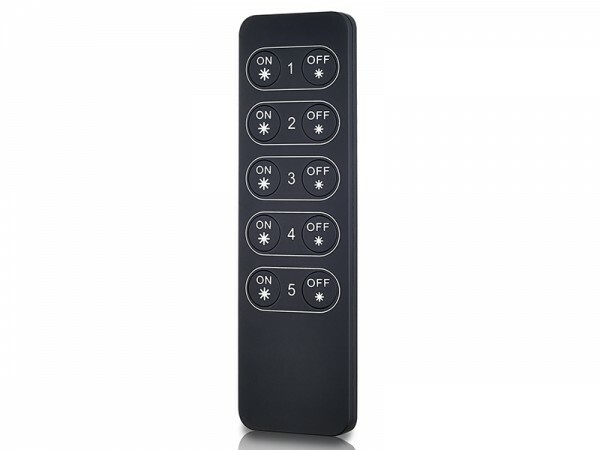 This converter greatly facilitates users to simplify the control, they do not have to find the remote controls everywhere, just a mobile phone is enough. The WiFi-RF converter can be compatible with SR-1009 series receivers to control single color, dual color, RGB and RGBW LED lighting. Free APP is available from APP store or Sunricher website. 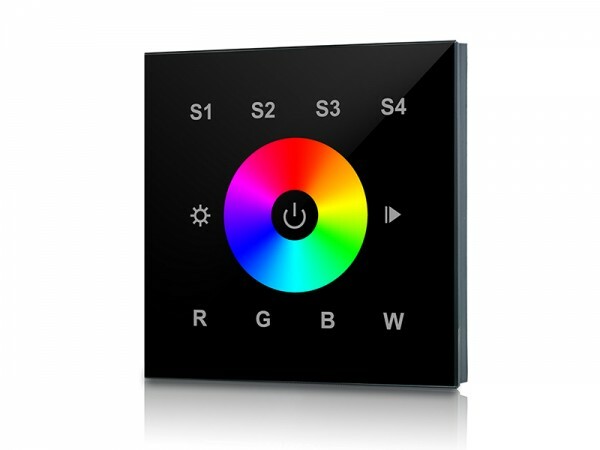 SR-2820 is a RGB touch controller which adopts ultra sensitive full touch glass touch panel with touch color wheel to offer accurate and fast color tone adjustment. The touch panel controller is designed with sleek appearance and user-friendly interface for easy operation. Each controller can control up to 4 zones synchronously or independently with endless receivers in each zone. Built-in 10 dynamic changing patterns are available with pause function when played. Each zone can save 4 scenes if you do not like the built-in ones. Independent dimming function of each R, G, B, W channel enables the RGB controller to create millions of colors. The touch controller can be WiFi controlled after installing APP on IOS and Android mobile devices. 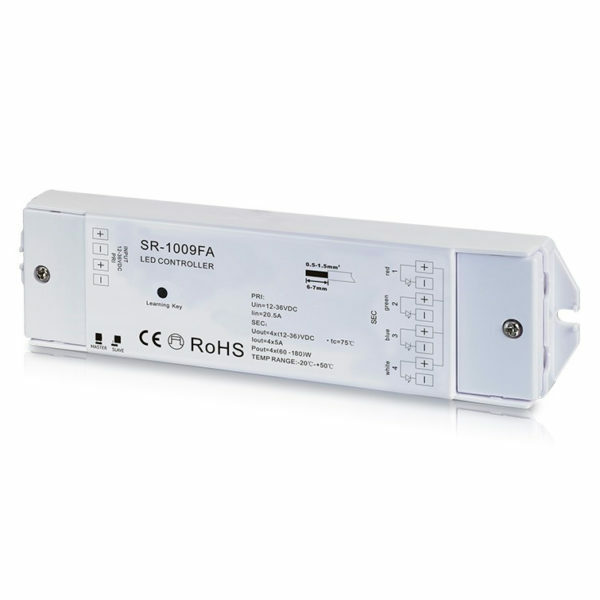 The LED controller SR-1009FA is a universal constant voltage LED strip dimmer controller with 12-36VDC input and output for mono chrome, dual color and RGB/RGBW lights. It is designed with 4 channels and maximum 5A/channel output. Built-in RF receiver enables the LED light controller to be wireless controlled by remote and wall mounted controllers and be compatible with a variety of remotes to control single color, dual color and RGB/RGB+W LED lights especially LED strip lights. For single color LED strip, the SR-1009FA works as LED dimmer to adjust brightness and switch on/off. For CW+WW dual color LED lights, the RF controller features both dimmer and color temperature controller functions. For RGB/RGB+W LED, the LED controller offers brightness dimmer function for each channel, RGB color tone adjustment function and dynamic changing patterns. Multiple zones can be controlled separately or synchronously with endless receivers in each zone. Built-in changing patterns are available and can be saved to each zone. Brightness of each R, G, B, W channel can be dimmable separately to achieve millions of changing colors. While working with WiFi-RF converters, the LED strip light controller can be WiFi controlled by APP installed on IOS or Android mobile devices. Waterproof version is available with IP67 rating.